Due to a power outage caused by storms we closed at 2pm on 04-19-2019. We will open from 9am to 3pm on 4:20. Please call to confirm that we are open before coming in. As we age, our bodies undergo changes that result in imbalanced hormone production. For both men and women, these changes can result in poorer quality of health and life. Bio-identical hormone replacement therapy helps people reclaim a more youthful hormone profile and combat the adverse effects of hormone imbalance. Women and men of a certain age experience hormone drop-offs that affect mood, energy, and libido adversely. 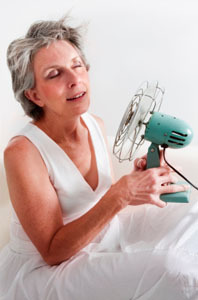 In women, this hormone drop-off is known as menopause. Men are said to experience andropause, which is also called male menopause. In order to restore a proper hormone balance, supplemental hormones can be prescribed to replace naturally occurring testosterone, progesterone, estradiol, estriol, estrone, dehydroepiandrosterone, and pregnenolone. Westlab pharmacy compounds individualized bio-identical hormone replacement therapy for the needs of men and women. The benefit of bio-identical hormone replacement therapy is due to the molecular structure of the hormones themselves. Bio-identical hormones have the exact molecular structure of the hormones they replace. This means that the body's existing hormone receptors are met with a perfect match when bio-identical hormones are introduced. Non bio-identical hormones, which do not perfectly match the structure of the original hormone, have been associated with adverse side effects during treatment. This is why bio-identical hormone replacement therapy is so highly recommended by Westlab Pharmacy. Maintaining the proper balance of hormones through bio-identical hormone replacement therapy can help the body continue to ward off the conditions that can lead to stress disorder, breast cancer, osteoporosis, obesity, diabetes, and immune dysfunction.